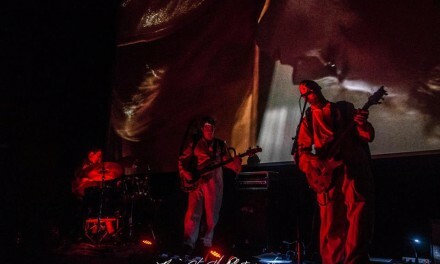 Post-Apocalyptic Rock Show this Saturday | DAVE CAHILL | Singer, Songwriter, Producer, Dissident. 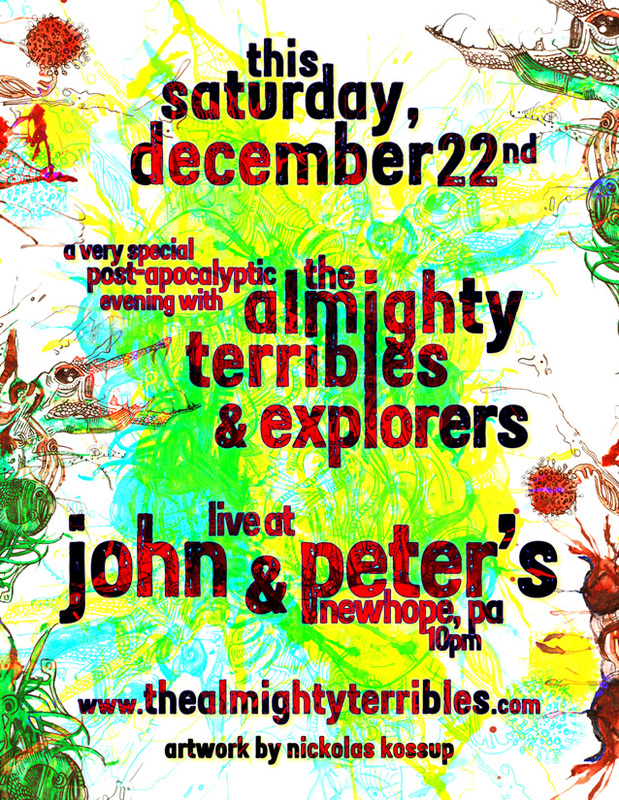 Join us for a very special Post-Apocalyptic Rock Show this Saturday Night in New Hope, PA, THE ALMIGHTY TERRIBLES & Explorers will be celebrating the new age with bath salts & prog-rock. Come on out to the world famous, John & Peter’s and have your ears and lungs plastered in sinfulness. Don’t miss the Post-Apocalyptic Bath Salt Rock Show this Saturday!